Perfect for small sailboats and Hobie Cat. 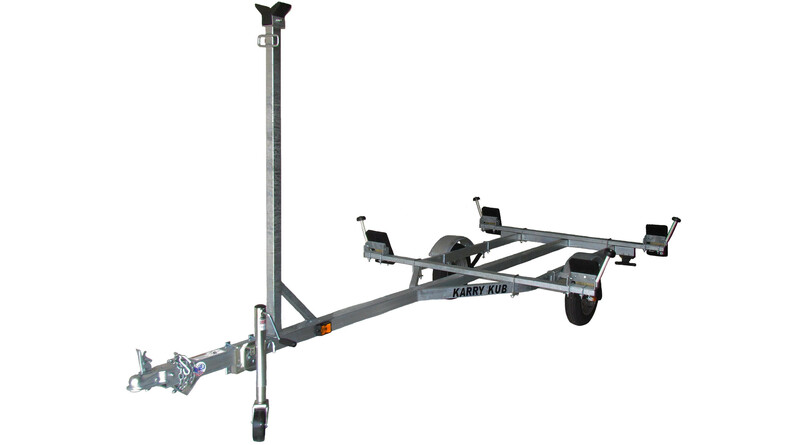 This is a great small trailer made in the USA for towing your boat. 12” wheels or 8″ for lower to water loading.